We have a long history of athletic achievement as evidenced by the many trophies displayed in the school. Our tradition continues with teams in golf, soccer, basketball, and volleyball. In addition, our students are eligible to play for other nearby Catholic schools in golf, baseball and track. We house club soccer, club volleyball, club basketball. From grade 4th-8th St. Anthony students (boys and girls) play volleyball in the CYO league against other local Catholic schools. League games are normally on weekends and are played in gyms all around the city. The season goes from March to April. 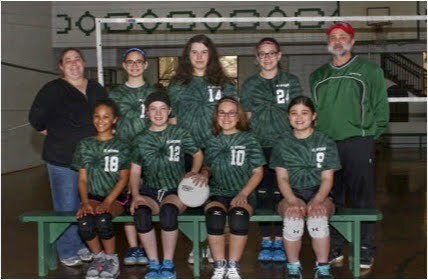 Schedules and other information about CYO volleyball can found on the CYO website (CYO home). 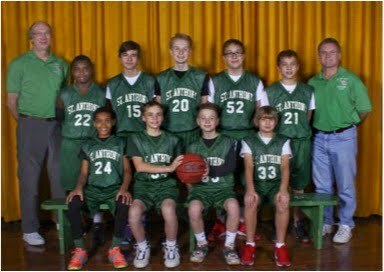 From grade 4th-8th St. Anthony students (boys and girls) play basketball in the CYO league against other local Catholic schools. League games are normally on weekends and are played in gyms all around the city. The season goes from November to February with a tournament at the end of the season. Schedules and other information about CYO basketball can found on the CYO website (CYO home). 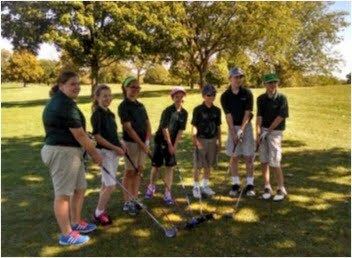 Golf is our newest CYO sport. It is a Fall sport, for boys and girls from grades 5-8. Sign ups for golf are at the end of the previous school and over the summer. Golf teams are divisioned by skill level and not by age so all different age groups can be on one team. Matches are played at local golf courses on Sunday afternoon starting in late August and running into October we play at Kittyhawk GC). Cost does not include green fees ($5 per game); balls, tees and clubs are available on an as-needed basis.